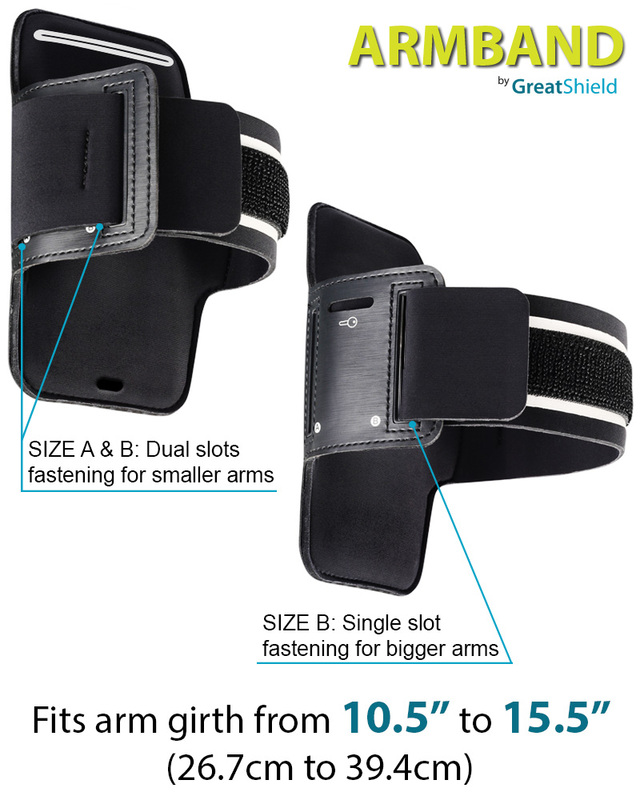 [AMAZING ADJUSTABILITY AND COMFORT] Able to fit arms from 10.5in up to 15.5 inches with its integrated A and B strap slots. 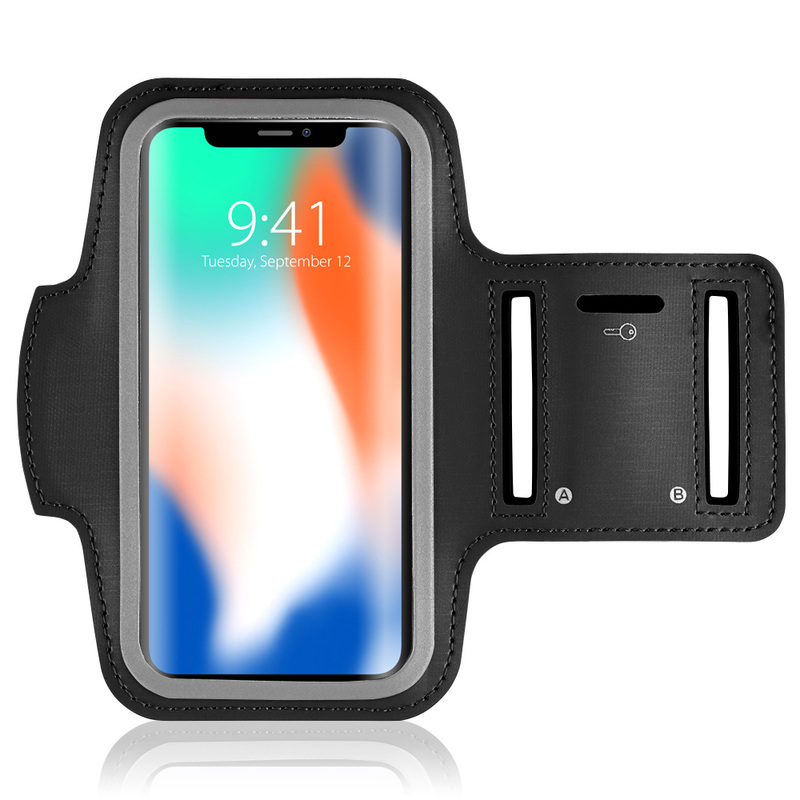 The neoprene fabric offers amazing durability and comfort, keeping your device dry and safe, while offering a band the twists and bends, yet not stretch over time. [REFLECTIVE STRIPING TO KEEP YOU SAFE] The sport armband and case are line with reflective striping. 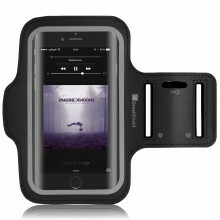 Visible from up to 984ft (300m), the band is designed to keep you safer when performing nighttime outdoor activities. 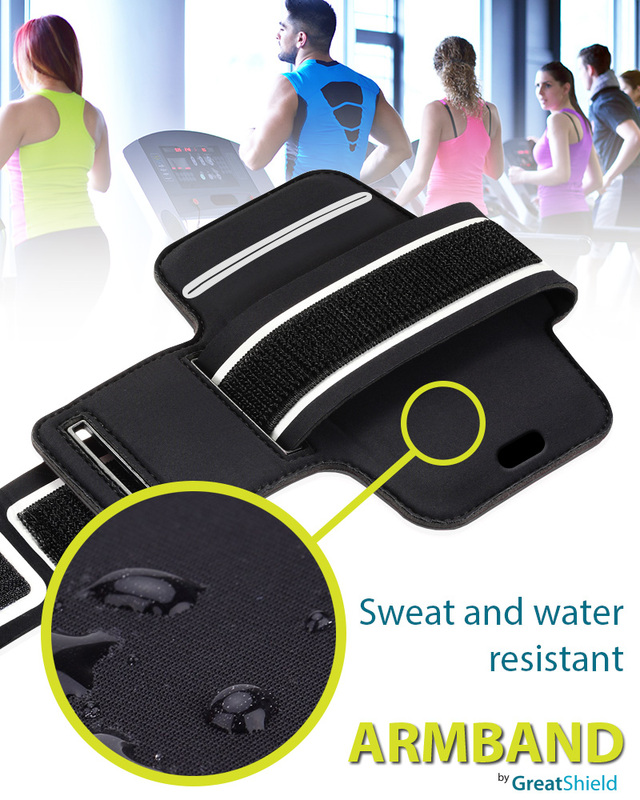 The GreatShield FIT universal sport armband wraps around your arm for amazing comfort. 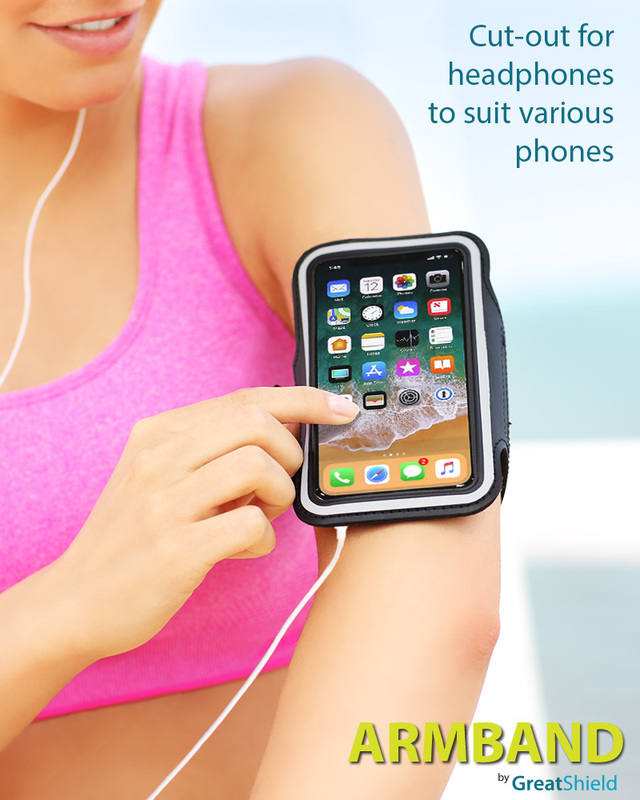 With the large water-resistant pocket, safely and securely bring along your phone or music player. Fits all devices 6 inches and under. 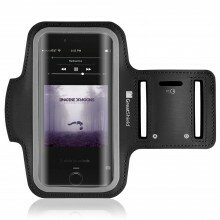 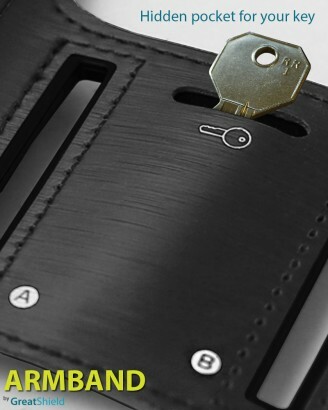 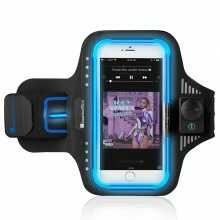 With its laser cutouts, the armband will accommodate all 3.5mm headphones and charge cards. 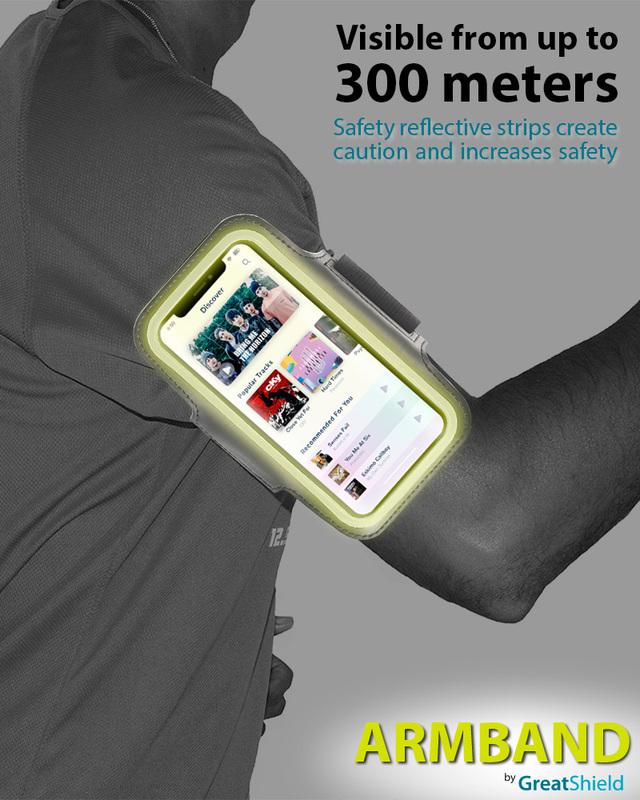 GreatShield FIT sport armband also has a reflective strip around the case that increases your safety and visibility up to 984ft (300m) when you are performing outdoor activities. 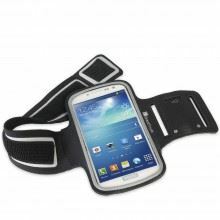 GreatShield FIT sport armband also features a built-in storage pocket for your house, car, or locker key to minimize carrying extra items during your workouts. Every product comes with a limited lifetime warranty. 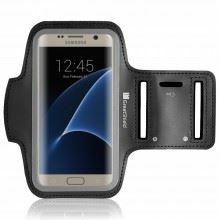 If you are not completely satisfied with your purchase, reach out to our experienced and dedicated USA based customer service for support 24 hours a day, 7 days a week. 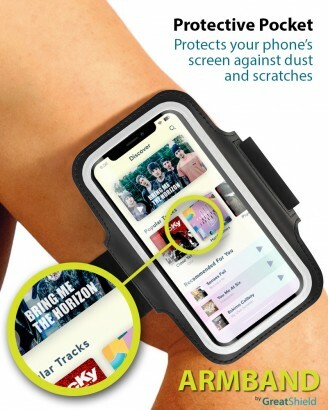 Please refer to GreatShield website for more information.